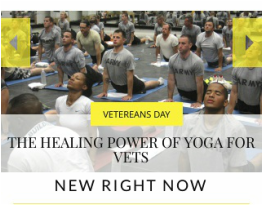 Your generous donation of $10, $20, $50, $100, or $250 will go towards sponsoring a Veteran who has served in the US Armbed Forces to receive FULL lodging, food, and yoga classes on a Walkabout Yoga Retreat to a NON-hostile destination around the world! Someone once told me, "Join the military, see the world." But the truth is that the military often only sees one side of the world. ​Help me show them the other and allow a Vet to explore the world around them as they regain the peace within. "Yoga had taught me to loosen harsh self-judgements. It taught me that whatever I did didn't define me, but was a tool for my own awakening. I knew in that moment that what was happening wasn't a failure, but an opportunity. 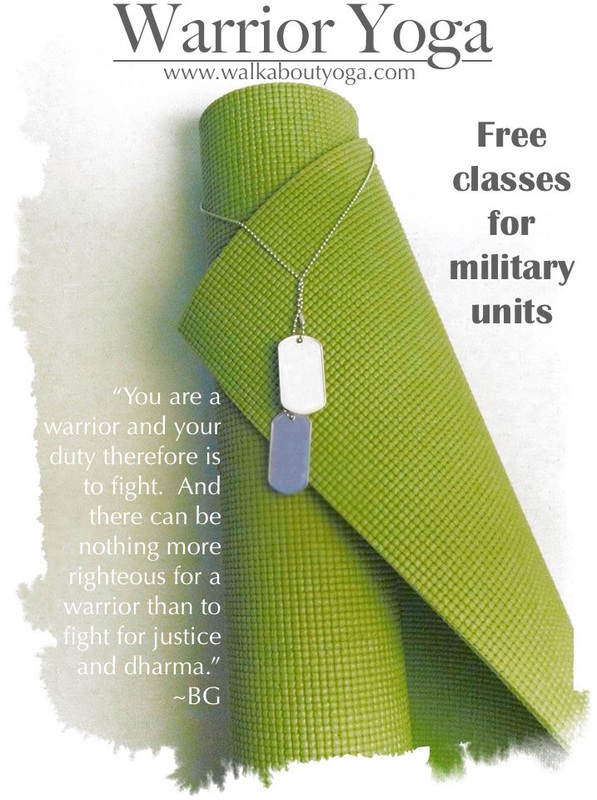 Yoga delivered a sense of peace to the moment of hell I was living in..."
Tailored Military Yoga classes for ALL ability levels, including those who can touch their toes, and those who can only look at them. Classes available in your unit space or in base gyms. Strength and Flexibility CAN go hand in hand. Focusing on lats, traps, hamstrings, and shoulders, classes for special forces units are all about assisting the release of connective tissue and lengthening overly dense muscles. Extreme forces on the body can often lead to serious back and flexibility issues for some pilots. Tailored yoga sequences help expand the spine and counteract the repetitive posture of cockpit and G force life.